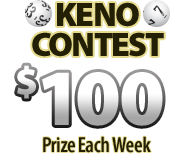 Go for a jackpot in the Daily or Weekly Contest, where the best session wins! In the Monthly Challenge, play up to 5 times per day for the best cumulative score throughout the entire month. Contest participation is always free! 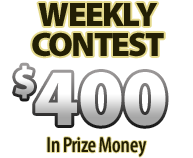 Vote on which game you'd like to see as the next Weekly Contest, with $400 in prizes! 2 show tickets and more!